Surveys There are 15 products. 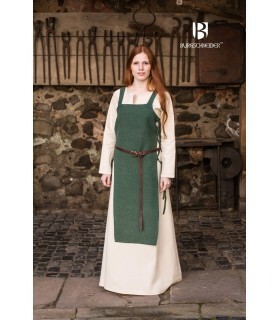 Sobrevesta Medieval Woman Viking Haithabu Green. Adjustable with drawstrings to both sides. Made of thick 100% Cotton CARE.- Only includes the top. 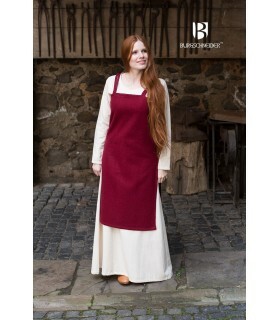 Does NOT include the long tunic beneath it. 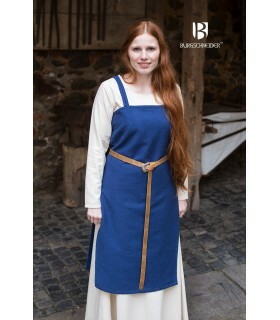 Sobrevesta Medieval Woman Viking Haithabu Blue. Adjustable with drawstrings to both sides. Made of thick 100% Cotton CARE.- Only includes the top. 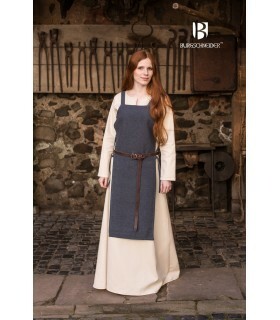 Does NOT include the long tunic beneath it. 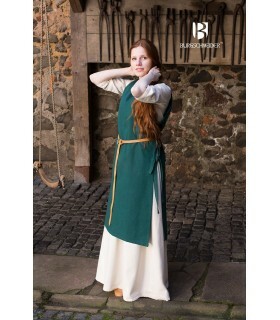 Sobrevesta Medieval Woman Viking Haithabu-Brown. Adjustable with drawstrings to both sides. Made of thick 100% Cotton CARE.- Only includes the top. Does NOT include the long tunic beneath it. 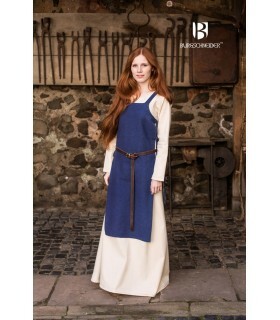 Sobrevesta Medieval Woman Viking Haithabu Mustard. Adjustable with drawstrings to both sides. Made of thick 100% Cotton CARE.- Only includes the top. 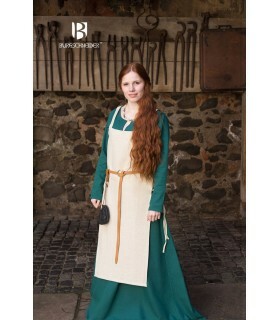 Does NOT include the long tunic beneath it. Sobrevesta Viking Red Jodis straight-cut and made in wool. Comes stitched over the top of the sides. Material used: Felt wool: 74% Polyester: 15% Polyamides: 7% Natural fibres: 4% CARE.- Only includes the top. Does NOT include the long tunic beneath it. Sobrevesta Viking Brown Jodis straight-cut and made in wool. Comes stitched over the top of the sides. Material used: Felt wool: 74% Polyester: 15% Polyamides: 7% Natural fibres: 4% CARE.- Only includes the top. 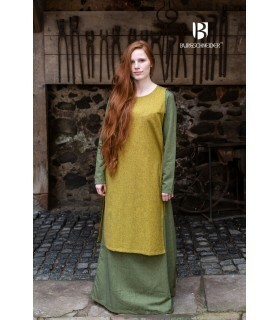 Does NOT include the long tunic beneath it. Sobrevesta Viking Frida Blue Ocean of straight-cut and made of 100% cotton. Comes stitched over the top of the sides. CARE.- Only includes the top. Does NOT include the long tunic beneath it. Sobrevesta Viking Frida Blue straight-cut and made of 100% cotton. Comes stitched over the top of the sides. CARE.- Only includes the top. Does NOT include the long tunic beneath it. 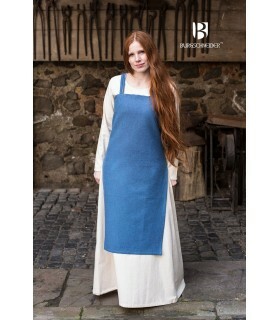 Sobrevesta Viking Frida-Lila-straight-cut and made of 100% cotton. Comes stitched over the top of the sides. CARE.- Only includes the top. 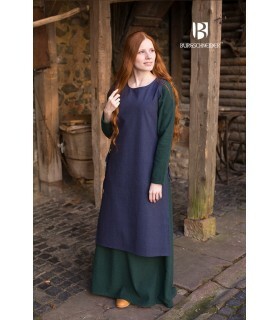 Does NOT include the long tunic beneath it. Sobrevesta Gyda straight-cut and made of 100% cotton. Comes with laces at both sides. CARE.- Only includes the top. 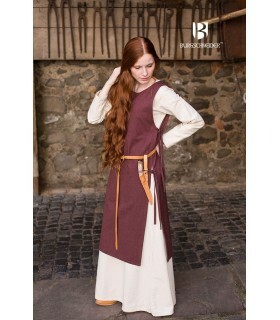 Does NOT include the long tunic beneath it. Sobrevesta Gyda Grey straight-cut and made of 100% cotton. Comes with laces at both sides. CARE.- Only includes the top. Does NOT include the long tunic beneath it. Sobrevesta Gyda Green straight-cut and made of 100% cotton. Comes with laces at both sides. CARE.- Only includes the top. Does NOT include the long tunic beneath it. Sobrevesta Gyda Hemp straight-cut and made of 100% cotton. Comes with laces at both sides. CARE.- Only includes the top. 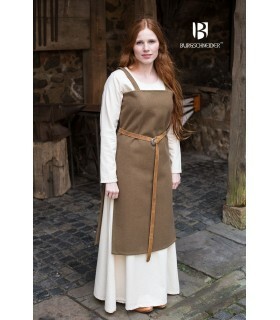 Does NOT include the long tunic beneath it.